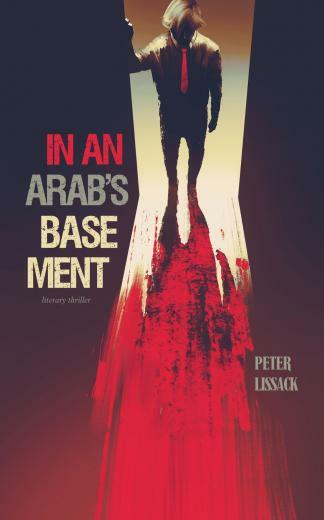 In an Arab’s Basement tells the story of a Parisian art dealer, Geoffroy de la Cazanière, who gets entangled in a mysterious case involving a painting presumed to be by the famed artist Francis Bacon. The painting depicts a headless man and the subject of the painting is still around and willing to go to extraordinary lengths to erase all traces of his past, even by committing a murder. The ensuing race against time to prevent more murders moves the action from Paris to Monte Carlo via London. Geoffroy, Comte de la Cazanière, was sitting neatly behind his large Louis XV style desk like a schoolboy who’d just entered the classroom, aware of the headmaster’s impending presence. The desk wasn’t a real one in the sense that its strict provenance had never been satisfactorily established, yet he liked it as it was—a piece of regal furniture which had been handed down through his wife’s family for over three generations. Tradition mattered more to him than authenticity. De la Cazanière put both of his hands facedown on the wooden surface and caressed the worn board, relishing the physical contact between flesh and old wood. This was a tactile ritual which he repeated every morning before getting down to business. His office was rather smaller and darker than one might imagine for such an important man—at least that was the opinion of nearly all visitors, an opinion which most kept wisely to themselves. Any ironic comments made by a brave few were readily rebuffed by the Count’s cutting sarcasm, of which he so excelled when challenged. In his own eyes, de la Cazanière wasn’t merely important. For one, he relished his position as one of Paris’ foremost art dealers. But more essentially, he thought of himself as the most important person on earth. And he knew how to play his part precisely. His attire was almost always perfect, even if he dressed casually, as his Anglo-Saxon clients never tired of telling him. To a certain type of woman, he exuded a strange fascination, not because of his perceived dashing lifestyle but because they never knew quite what to make of his tendency to introversion in an extravert world. The Count actually did look a bit like an older schoolboy in his grey flannels, his navy blazer, and his understated striped shirt. The few things that gave away his eccentricity were his bright ties, his brown loafers (his British friends took particular delight in pointing these out to him), and his never-ending collection of unusual cufflinks. Peter Lissack (Antwerp, 1965) has always felt the need to tell stories in one form or another. As a child, he used to conduct imaginary interviews taped on an old cassette player. Much later, he became a songwriter, but to Peter, the storytelling always prevailed over the musical aspect. More recently, Peter has concentrated on delving into the human psyche to ascertain the motives that drive people to do the things they do. From there, it’s only a short step to writing crime novels. Part of his inspiration comes from his experience as a Paris based insurance broker specialising in art.